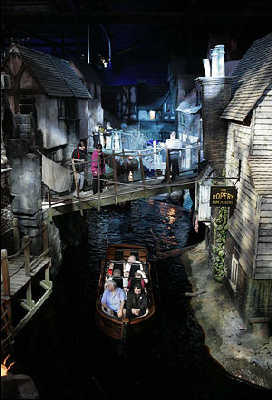 Another awesome theme park: Dickens World! Not only is there going to be a Harry Potter theme park, but there is already a Dickens World! Just opened in May 2007, it’s located in Kent, England. It’s like the Theme Park Gods are making my dreams come true. I wonder if there is a character actor walking around as the Artful Dodger!!?? Louis Vuitton's Fabulous New Amarante Color! Just when you thought reality television couldn’t possibly get any worse..
Harry Potter and the Deathly Hallows: Book 7 Countdown..